According to Nobel Prize winner, Robert Schiller, an election victory for president Donald Trump would not only boost the stock market but postpone the impending and imminent recession. Shiller, who is known for his behavioral finance research, believes Trump’s reelection would “resonate” with the stock market. The president’s pro-business policies would resonate with Wall Street for another four years, so believes Schiller. “It’s also that Trump is a model for extravagant living and big spending. All these things are boosting the stock market,” Shiller added. And he’s correct, but consumers have become “tapped out” thanks to their overspending and reliance on debt. He fails to mention the burden this is placing on everyday people. However, Shiller did famously predict two of the biggest bubbles of all time: the dot-com bubble and the housing bubble. Both times, he published an edition of his bookIrrational Exuberance, which described and predicted each respective bubble. In early March, Shiller gave a 50 percent chance the economy would tip into a recession within 18 months. “We’re past the days where we felt very secure. We had very low volatility for a while,” Shiller said. 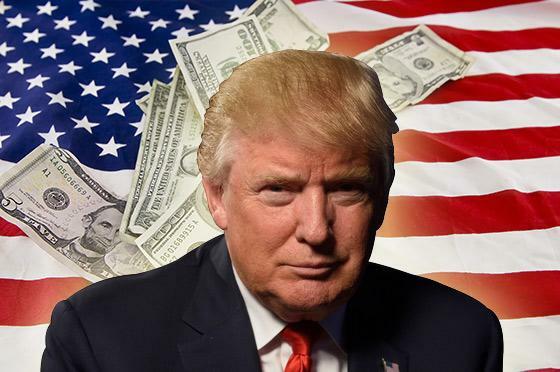 A weekend report by Goldman Sachs economists said that president Trump already has a “narrow advantage” in the 2020 election. Not only did it find incumbents generally have a built-in “bonus” of 5 to 6 percentage points in the popular vote, but the economy’s relatively strong performance ahead of the election bodes incredibly well for the president. And while the stock market is rallying since Trump’s victory, his reelection will solely depend on how the voters perceive the market’s rise.